How and why did you first make contact with Web English ? I contacted Web English because I needed help to improve my English for my Job and my colleagues suggested this site. What were you expecting from Web English ? What did your job/work need you to develop? How were your expectations met or not ? What have you learnt and how have your English skills developed ? What was the most unexpected learning or benefit of choosing Web English ? How did you change your English speaking and listening skills ? What techniques helped you best to improve ? Listening to TED talks, You tube videos and films I understand so much more. Why would you recommend Web English to other people ? Because the teachers are not only English teachers but they can be life coaches ,It’s very interesting to speak with them and watch the films, the subjects are so very interesting. What have you learnt about learning and yourself from studying with Web English ? If you could say in just a few words (in a nutshell !) what has made studying with Web English so good for you , what would you say to someone else? We have been helping students around the world learn English for over 30 years. Our aim is simple, to teach English and language skills with enthusiasm and passion. 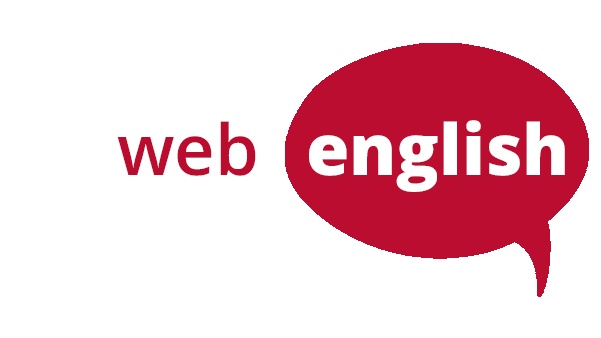 The Web English Online team are native speakers who are fully qualified and registered language teachers. We work across all time zones and can be available at a time that suits you. Copyright 1994 - 2018 All rights reserved. Designed by Otto & Co.